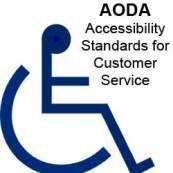 In actual fact it would seem that the Accessibility Directorate of Ontario is more keenly intent on working with businesses to ensure compliance and will use financial penalties as a last resort. It wouldn’t make much sense to affix an immediate negative penalty to an ideology that by its very nature needs time and care to grow into use. The Accessibility Directorate of Ontario uses what is a called a Compliance Assurance Framework or CAF as its template for retrieving accessibility information and levying response criteria. It is not within the mandate of the CAF to enforce financial penalties for non-compliance, rather, more positively; it can be seen as capacity building framework. That being said there are a fairly intensive criteria that has to be met and resting on ones laurels expecting that everything will be copasetic after zero input into an accessibility profile will result in penalties. This round of audits will be focusing on customer service which has been in place since 2012 and for those businesses that have really taken off with the idea of providing accessible customer service it will be a time for you to shine. Hypothetically, although, If you were to receive a document that suggests that your business is required to verify information by the Accessibility Directorate of Ontario; it is important to remember that this differs from typical audits that are the result of sloppy book keeping or being suspected of laundering money through your cousin’s car wash. This is tantamount to a systems audit in which the government will look for verification that your business is providing accessibility considerations to customers, in policy structures, through information and communication, transportation or employment measures. This is the general feel for the current “blitz”, although, this could change in future investigations. What is important is that there is no need to run to the hills or burry your head. And maybe, just maybe, we can see the end of missives that predict doom and gloom for not following instructions on preparing for the apocalypse.